iCliniq › Ask a doctor online › Health Articles › Sleep Disturbances › Can't Sleep? Finding it Really Difficult? Then You Must Read This. Written by Dr. Ajinkya B Bhandari and medically reviewed by iCliniq medical review team. Insomnia means in short, "disease of sleep". When you have difficulty to initiate sleep, difficulty in maintaining sleep, or getting unsatisfied sleep, then you are probably suffering from insomnia. Do you take more than 30 minutes to initiate sleep or go into sleep? Do you sleep for less than 5 hours in 24 hours time? Do you awaken frequently from sleep (more than three times)? 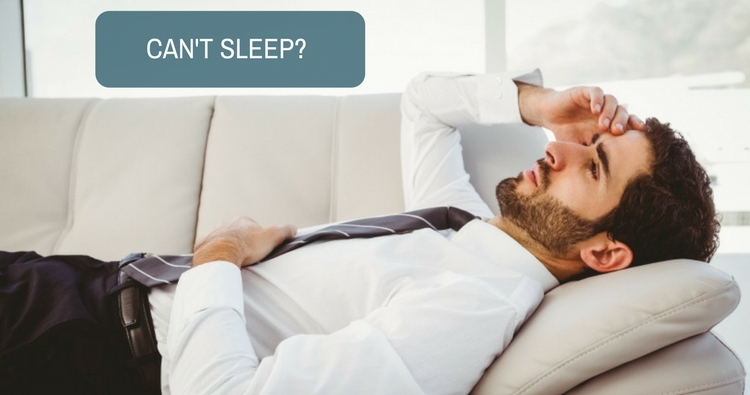 Do you never get sound sleep or get unsatisfied sleep or do you remain tired even after sleep? If any of the above symptoms is associated with you, then you are suffering from insomnia. It is quite natural to have such symptoms some or other times when you are in stress. But if you are having these symptoms for more than 20 days, then you definitely need treatment. Insomnia is common in females, middle aged people and old aged people. And more common in night shift workers and people who are physically or mentally ill. Young boys suffer more to initiate sleep while middle aged and old aged people suffer more to maintain the sleep and have sound sleep issues. But common man prefers to stay away from sleeping pills irrespective of his sufferings due to side effects of sleeping pills. And more dangerous is drug dependency, drug misuse and drug abuse! You must have heard of many stories of death due to overdoses of sleeping pills. Anything that is taken in excess is always dangerous. There are newer drugs available which are more safe, but should be taken only with doctor's prescription. There are still a few people who do not like to take drugs. Do not eat food items with caffeine during night. Do not eat heavily during night, especially people with acidity (gastritis). Avoid strenuous physical exercise at night. Exercise should be done at least 4 hours before going to sleep. Avoid alcohol consumption at night. Some people prefer drinking alcohol to get sleep. It is true that alcohol makes you sleep early, but when metabolism of alcohol takes place, it causes frequent awakening leading to more tiredness. Strenching or yoga is better before going to sleep. It relaxes the muscles and helps you sleep. Avoid work or conversations that cause more stress before going to sleep. Do not choose night time to discuss all your problems with your partner. Avoid watching television or surfing net late night. Soft music is best before sleeping, but avoid loud music. Do you have a question on Sleep Disturbances or Insomnia?